Want to get involved with a local or national eco group? Take a look at our comprehensive list of environmental groups. Greenpeace is an independent non-profit global campaigning organization. Educating, empowering and informing women and men who care about the environment. Campaigning on environmental and health issues from a female perspective. World Land Trust (WLT) is an international conservation charity that takes direct action to save rainforest and other wildlife habitats. By working with local partners across the world, WLT helps fund protected nature reserves to save threatened species. 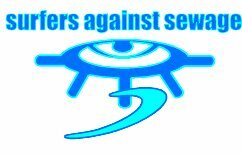 Surfers Against Sewage campaign for clean, safe recreational waters, free from sewage effluents, toxic chemicals and nuclear waste. Using a solution based argument of viable and sustainable alternatives, SAS highlight the inherent flaws in current practices, attitudes and legislation, challenging industry, legislators and politicians to end their ‘pump and dump’ policies. The Orangutan Appeal UK is a registered charity based in the south of England, dedicated to the rehabilitation and preservation of Orangutans and the conservation of their habitat. Adopt an Orangutan, Donate or shop online – all to help the Sepilok Orangutan Appeal. The Young People’s Trust for the Environment is a charity which aims to encourage young people’s understanding of the environment and the need for sustainability.